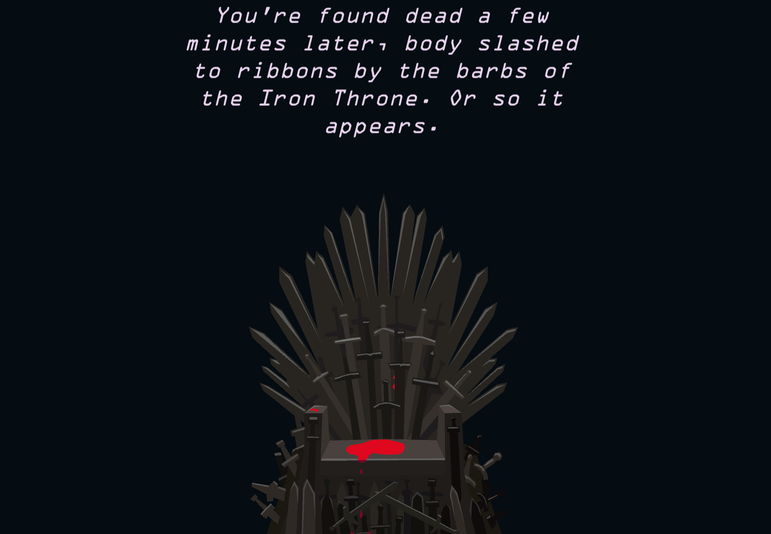 I can't think of a more perfect match-up then Reigns, a game all about deconstructing the realpolitik, and Game of Thrones, which serves as a savage interpretation. And now that dream team-up is actually happening, with HBO partnering with Devolver Digital to create Reigns: Game of Thrones. The game will be released on mobile platforms and for PC in October, and will cost just $4. That's right. A cup of coffee. Through the fiery visions of Melisandre, claim the Iron Throne as Cersei Lannister, Jon Snow, Daenerys Targaryen, and more to carefully navigate the complex relationships and hostile factions of the Seven Kingdoms. Employ ruthless tactics to outwit political rivals and wield impervious charm on your fickle bannerman. Maintain the balance and favor of the people to extend your reign and maybe, one day, survive the horrors of the coming winter. Players will rule from the Iron Throne as Cersei Lannister, Jon Snow, Daenerys Targaryen, Tyrion Lannister, Sansa Stark, and more while changing between each king and queen to face challenges and mysteries unique to their story. Extending beyond the TV series to imagine the many fates of those that would sit upon the Iron Throne. Rebuild the Great Sept of Baelor as Cersei or discover the path of the Seven Kingdoms if Sansa Stark had married Jaime Lannister. Decide the fate of Westeros and those that reside in your land to the soaring score of the HBO series by Ramin Djawadi. Both previous Reigns editions - Reigns and Reigns: Her Majesty, have been the kinds of games that you just can't put down, and as long as this new title offers more of the same, it's going to be one of the absolute must-haves of October.